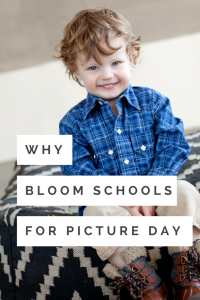 Why choose Bloom Schools Photography for your school picture day? Why thank you for asking! We specialize in both indoor and outdoor photography. Our photos are truly unique in both setting and lighting. We take those few extra seconds to relate with each child we photograph to obtain their most joyful expressions. We give back 10% to your school on all orders over $25. What a great fundraising opportunity for your school! We have amazing personalized and swift customer service. No question is too big or too small. Easy online ordering! Gone are the days of paper order forms and teachers running around collecting them. Leave that to us! Let your teachers focus on what’s important – educating your children! 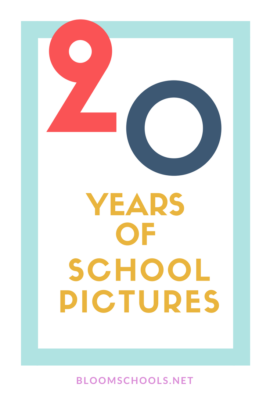 All of our school picture days are at no cost to the school and include a copy of one image per child, staff and class and for internal school use. Badges for each of your staff members. 1 8×10 print of each class photo. Jostens Yearbook CD for uploading. 50% discount for all staff members. Still having doubts? A great, no risk way to have your school test the waters is to book a spring picture day with us. 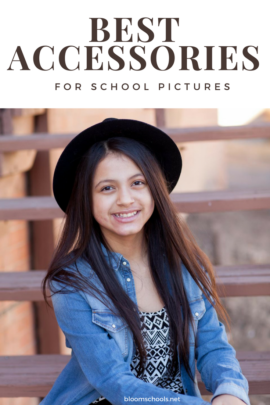 We look forward to giving your truly unique school photography that will be a treasured memory for all of your families. School picture day can be one most stressful days of the years for parents! 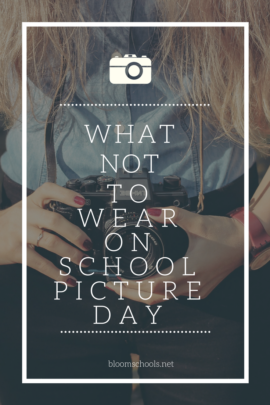 We’ve complied some easy tips to dress your kids for school picture day. The biggest advice we can give is to make sure that your kids are comfortable in their clothing for picture day. You don’t want them to be fidgeting around, itching or uncomfortable when they sit down in front of the camera. Dress them in their favorite outfit or something they have worn before. Don’t be afraid to make them stand out! A vibrant outfit is always better than muted colors. When you are dressing your children for picture day consider what the background of the photo will be. You want their outfit to compliment the background not clash with it. Colors in the same family work well. Don’t be afraid of a bold graphic or pattern. Mixing and matching can be fun as long as the colors blend. You can really make your kids eyes pop by wearing colored clothing that compliments their eyes! Blues with blue eyes are gorgeous and darker eyes deserve a bold color! Accessories can add a lot to your outfit. Keep it to one accessory though. 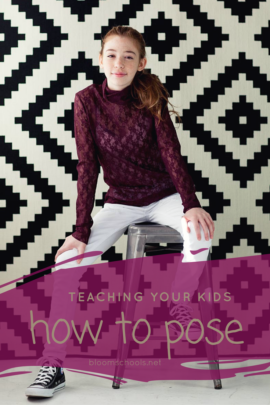 If you are wearing something that is too big or flashy it can become the focus point of the photo instead of your kids. 5. Let their personality shine! Let their personality shine. If your kids are eccentric let them wear the clothes they want to wear. Pictures Days are meant to create lasting memories of how your child was at that point in time of their life, don’t take away from that by limiting or choosing their clothing for them. Let your kiddos show you what they like and have an opinion into their outfit decision. Make it a team effort and a bonding experience! The night before picture day lay out the outfit you chose together and have a easy morning getting dressed! Everyone is happy and it will shine through in their photos! At Bloom Schools we are so proud to have a program set in place to give back to the schools we photograph each year. We love helping our community in anyway we can and what better way than to support the education of the future of this country? Happy new year schools and we can’t wait to make more memories with you next year! 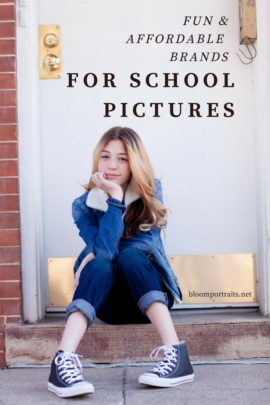 Interested in booking Bloom Schools Photography? School season is creeping up friends! We begin our Fall school portrait season with DDES here in Denver in only a couple weeks! Parents get out there and find the brightest and boldest outfits for your children! We love bold looks with bold attitudes! We are so excited and ready for your children’s best smiles! See you soon Denver and Minneapolis! As the summer revs up here at Bloom Schools, we can’t help but look back on the amazing season we had this past spring! We are so happy to begin prep for the fall 2016 season with lots of new things on the horizon. So keep a look out! Here at Bloom Schools Photography, we give back 10% of any purchase over $25 to the schools we shoot at the end of each picture season. We do this, to show our support of not only the schools/students we photograph but also to the surrounding communities they’re located in. Here we are with The Goddard School of Broomfield and their precious students! We can’t wait to see them again come fall!